Elbasan (Albanian: Elbasan or Elbasani) is a city and a municipality in Elbasan County, central Albania. One of the largest cities in Albania, it is located on the Shkumbin River in the District of Elbasan and the County of Elbasan. The present municipality was formed at the 2015 local government reform by the merger of the former municipalities Bradashesh, Elbasan, Funarë, Gjergjan, Gjinar, Gracen, Labinot-Fushë, Labinot-Mal, Papër, Shirgjan, Shushicë, Tregan and Zavalinë, that became municipal units. The seat of the municipality is the city Elbasan. The total population is 141,714 (2011 census), in a total area of 872.03 km2. The population of the former municipality at the 2011 census was 78,703. It was called Neokastron (New Castle) in Greek, Novigrad (new city) in Slavic and Terra Nuova in Italian. The modern name derives from the Turkish il-basan ("the fortress"). In August 2010 archaeologists discovered two Illyrian graves near the walls of the castle of Elbasan. 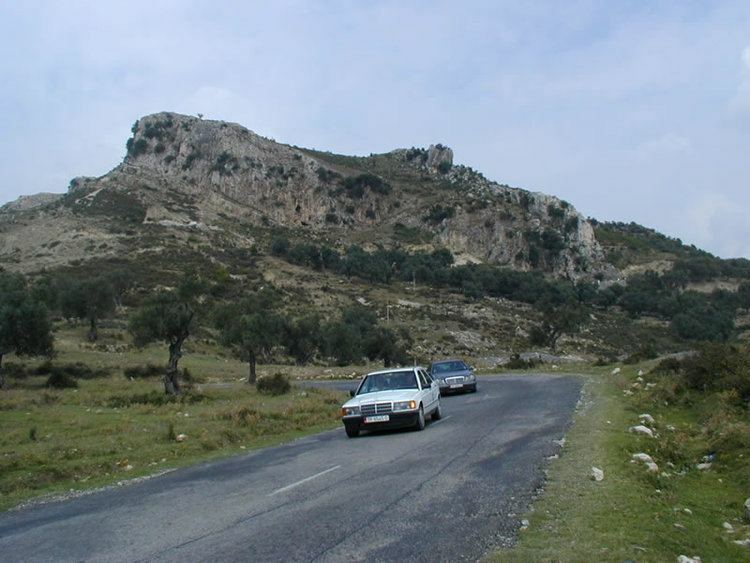 In the second century BC, a trading post called Mansio Scampa near the site of modern Elbasan developed close to a junction of two branches of an important Roman road, the Via Egnatia, which connected the Adriatic coast with Byzantium. It was one of the most important routes of the Roman empire. By the third or fourth century AD, this place had grown into a real city protected by a substantial Roman fortress with towers; the fort covered around 300 square meters. This city appears on late antique itineraries like the Tabula Peutingeriana or the Itinerarium Burdigalense as Scampis or Hiscampis. It took part in the spread of Christianity along the Via, and had a bishop, cathedral and basilicas as early as the fifth century. As a town in a wide river valley it was vulnerable to attacks once the legions were withdrawn but Emperor Justinian made an effort to improve the fortifications. The city survived attacks by the Bulgars and Ostrogoths and was mentioned in the work of Procopius of Cæsarea. In 2014 ruins of a Paleochristian basilica, built in the 5th or 6th century AD, were found in Bezistan area. The site seems to have been abandoned until the Ottoman army built a military camp there, followed by urban reconstruction under Sultan Mehmet II in 1466. Mehmet constructed a massive four-sided castle with a deep moat and three gates. He named it Elbasan, meaning 'conquered country' in Turkish. He had built the castle in order to fight Skanderbeg, due to an ongoing conflict between the Ottomans and Albanians. It became the seat of Sanjak of Elbasan, a centre of Ottoman urban civilisation over the next 445 years. Although Halil Inalcik explains that the Sanjak of Elbasan was established as soon as the fortress of Elbasan was constructed in 1466, based on Tursun Beg's records there is a possibility that Elbasan initially was part of the Sanjak of Ohrid. In 1467 many Christians from Skopje, Ohrid, Serres and Kastoria were forcibly deported to Elbasan. In the late 17th century, the Ottoman traveler Evliya Çelebi passed through Elbasan and noted that "all the inhabitants speak Albanian" having knowledge of Turkish with Muslim clergy being literate in Persian, while merchants also used the Greek and "Frankish" languages. By the end of the 17th century it had 2,000 inhabitants. The fortress was dismantled by Reshit Pasha in 1832. In 1864, the Sanjak of Elbasan became a part of Monastir Vilayet. In the late nineteenth century, Elbasan was inhabited by 3,000 Muslim families and 280 Orthodox Christian families, of which 100 were old Orthodox Albanian families living in the old Christian neighbourhood within the fortress and 180 Aromanian families residing in the St. Nicholas neighbourhood on the edge of town. At the beginning of the 20th century it was estimated that 15,000 people lived in Elbasan. In 1909, after the Young Turks revolution in Istanbul, an Albanian National Congress was held in Elbasan to study educational and cultural questions. The delegates, all from central and southern Albania, endorsed the decision of the Congress of Monastir, which was held in Monastir (modern Bitola, Republic of Macedonia) to use the Latin alphabet rather than the Arabic script in written Albanian. In Elbasan there were living Albanians, Turkish, Aromunian and Sephardic Jews. Before the Second World War, Elbasan was a city with a mixture of eastern and medieval buildings, narrow cobbled streets and a large bazaar. There was a clearly defined Muslim settlement within the castle walls, a Vlach district on the outskirts of the city and several fine mosques and Islamic buildings. At the time the population was about 15,000 people. "The population celebrating Bairam in central space: wonderful primitive merry-go round with gypsy minstrels (flute and drum), pushed round by the men with poles; also a cartwheel poised on a tree top; pekhilvans wrestling, mostly refugees from Dibra, thus gaining a precarious livelihood." 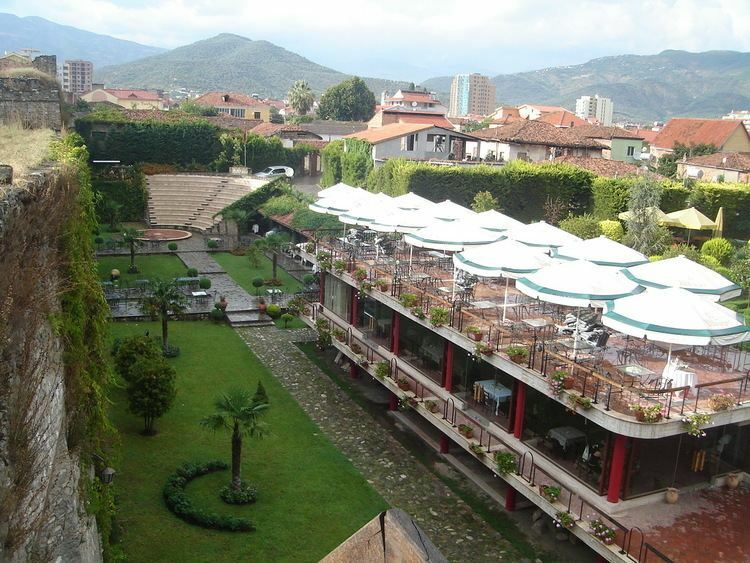 The very first teachers' training college in Albania, the Shkolla Normale e Elbasanit, was established in Elbasan. During First Balkan War, it was occupied by Serbian troops on 29 November 1912. They withdrew from Elbasan on 25 October 1913 due to United Kingdom and Austria Hungary's ultimatum. The Muslim majority of Elbasan opposed the installation of Prince Wied in 1914. Elbasan was occupied successively by Serbs, Bulgarians, Austrians and Italians between 1915 and 1918. The Bulgarian army occupied Elbasan on January 29, 1916, during Bulgarian occupation of Albania In March 1916 the army of Austria-Hungary took over control of Elbasan From June 1916 to March 1917 Stanislav Kostka Neumann fought with the Austrian army there and called his war memoirs about the occupation in Elbasan. Industrial development began in the Zogist period when tobacco and alcohol factories were established. The city was also noted for its good public buildings, advanced educational provisions, public gardens and timber-built shops. There was much wartime damage, which was followed by an intensive programme of industrial development in the Communist period that boosted the city to around 75,000 inhabitants. The culmination of this process was the construction of the huge Steel of the Party (Albanian: Celiku i Partise) metallurgical complex outside the city, in the Shkumbini valley, built with Chinese assistance in the 1970s. It was emphatically called "The Second National Liberation of Albanian" by Enver Hoxha. The cost of the complex in environmental impact was high for the Shkumbin valley. In 2014, the Albanian government reconstructed former Ruzhdi Bizhuta Stadium. The renovated Elbasan Arena became the home stadium of the Albanian national football team and Albania's de facto stadium meeting FIFA's criteria. Elbasan has been occupied by several different groups, including the Serbs, Bulgarians, Austrians and Italians. Elbasan remained a center of Islam in Albania even after the Ottoman occupation. After the 1908 Congress of Monastir (in modern Bitola, Republic of Macedonia) decided to use the Latin alphabet for the written Albanian language, Muslim clerics influenced by the Young Turks held various demonstrations in favor of the Arabic script in Elbasan. In the middle of the city is found the Saint Mary Orthodox Church. The church was built in 1830 on the foundations of an older church, which had partially burned in 1819. Paintings and frescoes of Onufri, restored by David Selenicasi and Kostadin Shelcani can still be seen. The church has been an important religious and cultural center for the Albanian language. Teodor Haxhifilipi, Kostandin Kristoforidhi, and Aleksandër Xhuvani have served in the church. They are the authors of translations into Albanian of many psalms. The church building served as the first Albanian school of Elbasan in modern times, which opened in 1908. Other orthodox churches in the Elbasan District include the Mameli church (built in the 17th century), the Saint Nicholas church (Albanian: Shen Kolli) in Shelcan (built in 1554), the Saint Nicholas church in Valesh (built in 1604), the Saints Cosmas and Damian church in Sterstan (built in the 18th century), the Saint Michael (Albanian: Shen Mehilli) church in Shalës (built in the 17th century), the Saint Mary church in Dragot (built in the 18th century), the Saint Nicholas church of Elbasan (17th century), and the Elbasan Saint Athanasius church of Elbasan (built in 1554). About 7 km away from Elbasan there is an old monastery and orthodox church where notably Saint Jovan Vladimir was buried until 1995 when his remains were transferred to the Orthodox Cathedral in Tirana, being brought back to the monastery only for his feast days. Elbasan is home to the National Autocephalous Albanian Church (Albanian: Kisha Autoqefale Kombetare), a relatively new Orthodox Autocephalous church that split from the Albanian Orthodox Church in 1995. Father Nikolle Marku is the leader of the new denomination. Elbasan is also home to a Catholic church. Elbasan is the home to the Summer Day festivities, a pagan feast celebrating the end of winter and the coming of summer. Ballokume, cookies made from butter and corn wheat is the traditional dish served in this day. Since 2004, it has become a national holiday being celebrated in Tirana on a Monday in mid-March. 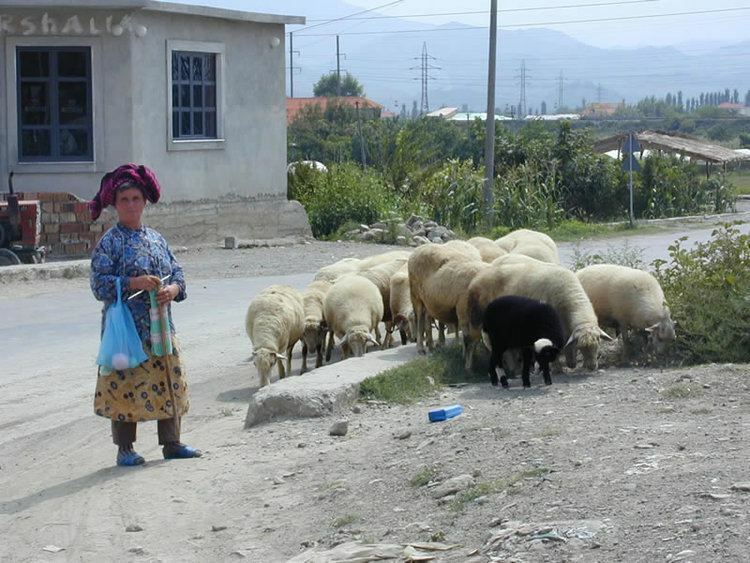 In recent years Elbasan, like the rest of Albania, has had to deal not only with local pollution, but also with what environmentalists call "imported pollution", because of the waste imported from abroad for the recycling process in private companies. Industrial development began during the Zog regime with the production of tobacco and alcoholic beverages, and culminated during the communist regime. The city gained prominence after the Chinese built a steel mill in 1974. There were also other industries operating in the city during the communist regime. The city was a hub for heavy industry during the communist regime, mostly metallurgic and metal processing factories. All these industries caused big pollution and Elbasan is considered today to be one of the most polluted cities of Albania.